Tuesday, April 25 2006. 09:00. Opening Session. Wednesday, April 26 2006. 09:00 - 09:30. Thursday, April 27 2006. 09:00 - 09:30. 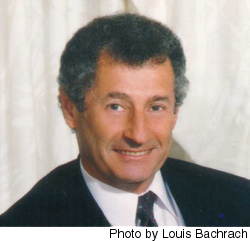 Dr. Leonard Kleinrock created the basic principles of packet switching, the technology underpinning the Internet, while a graduate student at MIT. This was a decade before the birth of the Internet which occurred when his host computer at UCLA became the first node of the Internet in September 1969. He wrote the first paper and published the first book on the subject; he also directed the transmission of the first message to pass over the Internet. He was listed by the Los Angeles Times in 1999 as among the "50 People Who Most Influenced Business This Century". Dr. Kleinrock received his Ph.D. from MIT in 1963 and has served as a professor of computer science at the University of California, Los Angeles since then, serving as chairman of the department from 1991-1995. He received his BEE degree from CCNY in 1957 (also an Honorary Doctor of Science from CCNY in 1997, and an Honorary Doctor of Science from the University of Massachusetts, Amherst in 2000). He has published more than 240 papers and authored six books on a wide array of subjects including queueing theory, packet switching networks, packet radio networks, local area networks, broadband networks, gigabit networks and nomadic computing. Dr. Kleinrock is a member of the American Academy of Arts and Sciences, a member of the National Academy of Engineering, an IEEE fellow, an ACM fellow and a founding member of the Computer Science and Telecommunications Board of the National Research Council. Among his many honors, he is the recipient of the CCNY Townsend Harris Medal, the CCNY Electrical Engineering Award, the Marconi Award, the L.M. Ericsson Prize, the NAE Charles Stark Draper Prize, the Okawa Prize, the IEEE Internet Millennium Award, the UCLA Outstanding Teacher Award, the Lanchester Prize, the ACM SIGCOMM Award, the Sigma Xi Monie Ferst Award, the INFORMS Presidents Award, and the IEEE Harry Goode Award.
" IPv6, Mobility, and Ad Hoc Networking in the IETF"
now starting in the IETF. Charles E. Perkins is a Nokia Fellow in the Network Technology Laboratory at Nokia Research Center, investigating mobile wireless networking and dynamic configuration protocols. He is the editor for several ACM and IEEE journals for areas related to wireless networking. He is serving as document editor for the mobile-IP working group of the Internet Engineering Task Force (IETF), and is author or co-author of standards-track documents in the mip4, mip6, manet, dhc, mipshop, seamoby (Seamless Mobility) and autoconf working groups. Charles has served as program committee co-chair for MobiHoc 2004, on the Internet Architecture Board (IAB) of the IETF and on various committees for the National Research Council. More recently he has served as Program Chair for the IEEE Vehicular Technology conference networking track, and is currently serving as General Chair for IEEE Mobile Ad hoc and Sensor Systems conference (MASS 2006). He is also associate editor for Mobile Communications and Computing Review, the official publication of ACM SIGMOBILE, and has served on the editorial staff for IEEE Internet Computing magazine. Charles has authored and edited books on Mobile IP and Ad Hoc Networking, and has published a number of papers and award winning articles in the areas of mobile networking, ad-hoc networking, route optimization for mobile networking, resource discovery, and automatic configuration for mobile computers. See http://people.nokia.net/charliep for further details. Nature and society exhibit many instances of systems in which large populations are able to reach efficient equilibria and develop effective collaboration and survival strategies in the absence of central control. Inspiration from these systems indicate a way for dealing with the emerging dense billion nodes Internet of the coming decades. Based on autonomic local interactions these novel models of system design and control are a candidate for providing integrated communication service environments with the scaling and adaptation needed to face the constantly changing, growing and unpredictable user expectations in cost, services and response quality. Imrich Chlamtac is the President of CREATE-NET and the Honorary Bruno Kessler Professor at the University of Trento, Italy. He has held various chaired professorships in USA and Europe including the Distinguished Chair in Telecommunications Professorship at the University of Texas at Dallas, Sackler Professorship at Tel Aviv University and University Professorship at the Technical University of Budapest . 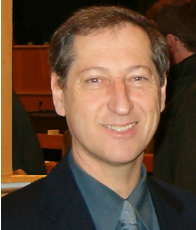 In the past he was with Technion and UMass, Amherst, DEC Research and helped found several successful technology firms . The CREATE-NET institute, founded three years ago, is at the center of a large network of collaborating universities and research organizations worldwide, addressing key areas of communications technologies and services, in close cooperation with European research associations. Dr. Chlamtac is the recipient of multiple awards and recognitions including Fellow of the IEEE, Fellow of the ACM, Fulbright Scholar, the ACM Award for Outstanding Contributions to Research on Mobility and the IEEE Award for Outstanding Technical Contributions to Wireless Personal Communications for the invention of lighpath communication, basic concepts in ad hoc networks and queuing theory. Dr. Chlamtac published close to four hundred refereed journal, book, and conference articles and is listed among ISI's Highly Cited Researchers in Computer Science. 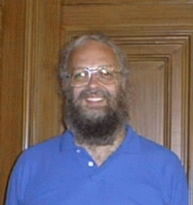 He is the co-author of four books, including the first book on Local Area Networks (1980) and the Amazon.com best seller, Wireless and Mobile Network Architectures (John Wiley and Sons). Dr. Chlamtac has widely contributed to the scientific community as founder and Chair of ACM Sigmobile, founder and steering committee chair of several leading conferences in networking, including ACM Mobicom, IEEE/CREATE-NET Broadnets, IEEE/CREATE-NET Tridentcom, IEEE/CREATE-NET Securecomm and IEEE/CREATE-NET Comsware conferences. He also serves as the founding Editor in Chief of the ACM/URSI/Springer Wireless Networks (WINET), and the ACM/Springer Journal on Special Topics in Mobile Networks and Applications (MONET).